Covenant Woods’ second-largest floor plan to the Hyacinth, the Heather, is a sprawling apartment with two identical master suites – perfect for roommates, residents with visiting children or guests, or couples who prefer separate bedrooms. The Heather is one of few homes that includes an added den – great for a home office, entertainment center, or craft room. A balcony stretching the length of the open living and dining room overlooks The Lawn – making it a perfect place to enjoy a morning coffee, evening meal – and people-watch. A large walk-in closet accompanies each master suite. 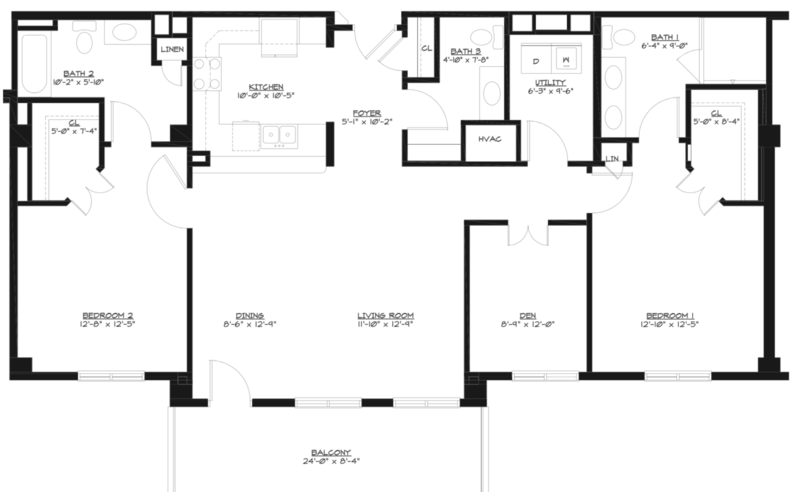 The Heather is also the only apartment floor plan that offers a third half bathroom for guests. 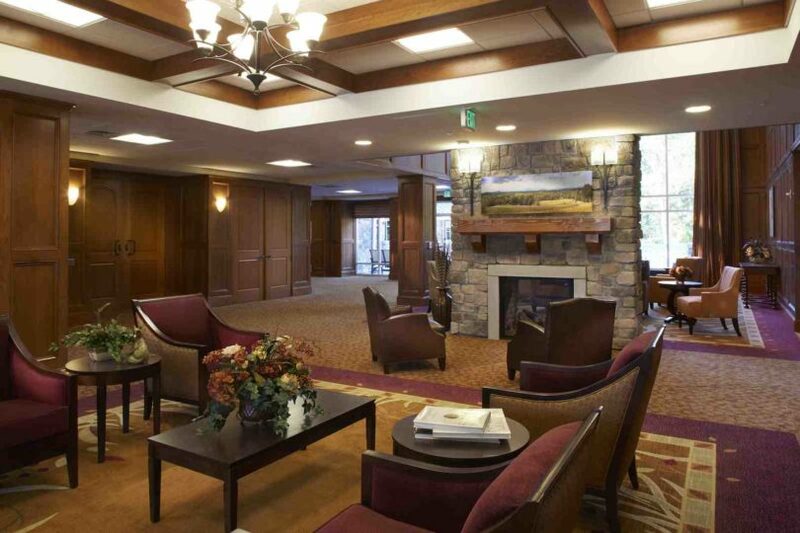 The Heather is located in The Lodge, which includes Vistas restaurant, the Fireside pub, outdoor dining on The Terrace, plus a host of amenities and beautifully appointed apartments. All homes include one space in the underground parking garage, open floor plans, plenty of storage, and an abundance of natural light. The Lodge connects to the Manor via The Link.